Like lots of couples, Kay and Jack Quinn wanted more time to enjoy life after they retired. They also wanted to be done with maintaining their big house in Chili, but neither of them was ready for an apartment. Fortunately, their daughter Katie introduced them to the idea of moving to a patio home at Seabury Woods—and they are so happy they did. “It’s just the right size for us, but it feels really spacious,” says Kay. Jack adds that although he wasn’t initially excited about moving from their house, he’s glad that the maintenance staff at Seabury Woods does all the upkeep for them. “Whatever we need, they do for us—fix a leaky faucet, hang your pictures for you, everything,” he says. “We also have a new fire alarm system here. 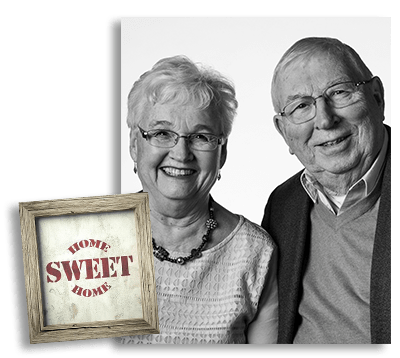 It’s really worry-free.” They are also overjoyed by the friendliness of the fellow patio home neighbors, many of whom became close friends quite quickly. “There’s such a sense of community here,” they say. 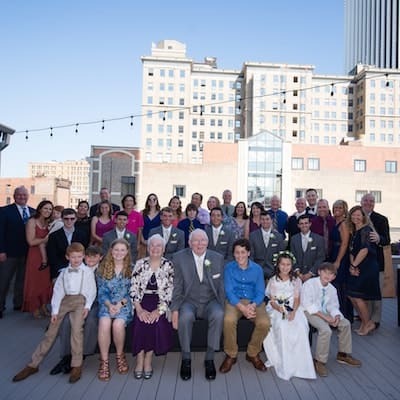 The Quinns sold their four-bedroom home to daughter Colleen and husband Tru, and Katie helped them decide which of their furnishings to bring to the patio home. After they moved in September of 2016, they had more time to do the things they enjoy. For Kay, it’s joining the yoga classes and attending Lunch-n-Learns at nearby Seabury Woods Apartments. She also loves to read and has finally had the time to join a book club with friends from her college days. Jack, who had some health issues a couple years ago, prefers to “bum around,” he says. On nice days, he enjoys relaxing on their front porch, reading his daily newspaper. Inside, he keeps up with political news via CNN and MSNBC. He also follows his favorite sports teams, including Notre Dame and the Celtics. Kay always had an interest but never had the time to learn about gardening, and now she’s joined the local garden club. 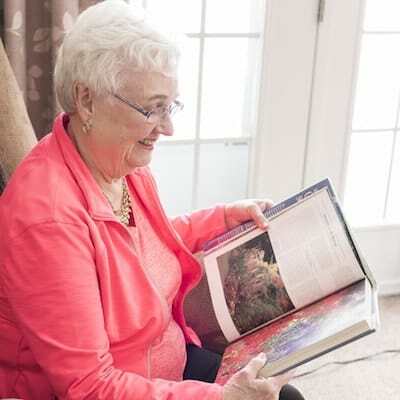 She says they inherited very pretty gardens when they moved in—flowerbeds full of roses, daisies and iris, plus chives, fennel, spearmint and green onions. 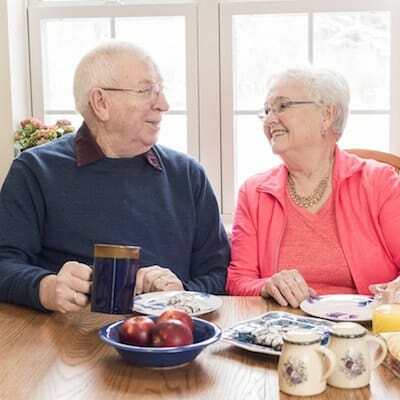 Another benefit to living here is that they can take advantage of 10 included meals per person each month from Seabury Woods’ dining room, and even have them delivered. “It’s nice not to cook on busy days,” says Kay. Before they retired, Jack was the executive director of the Lewis Street Center for 40 years, and taught urban development at Nazareth and Roberts Wesleyan collages. Kay worked as a medical insurance specialist for a local doctor, then part-time for her son’s insurance agency. Both say they believe in community which they have passed on to their children—in his younger days, Jack would have liked to work for Bobby Kennedy. “You bet your boots!” he says.